The Cupertino, Calif.-based iPod maker first acknowledged the issue in 2008, offering replacements to customers who experienced overheating. The defect prompted investigations from several international government agencies, including South Korea, Japan and Europe. In 2010, the trade ministry in Japan ordered Apple to publicize the replacement offer on its Japanese website. MacRumors reports that Apple began sending out emails to purchasers of the first-generation iPod nano on Friday, notifying them of the replacement program. "Apple has determined that, in very rare cases, the battery in the iPod nano (1st generation) may overheat and pose a safety risk. 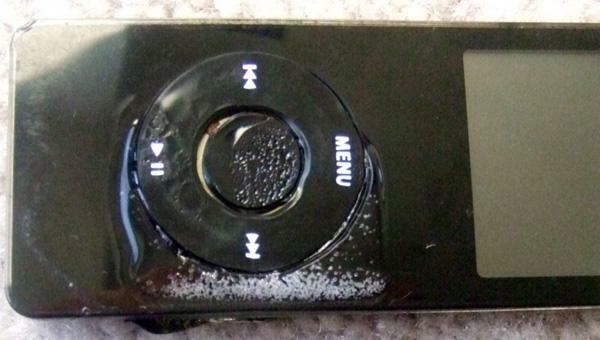 Affected iPod nanos were sold between September 2005 and December 2006," the company wrote. "This issue has been traced to a single battery supplier that produced batteries with a manufacturing defect. While the possibility of an incident is rare, the likelihood increases as the battery ages." The company now recommends that users stop using their first-generation iPod nanos and order a replacement. Customers can bring their iPod nanos an Apple Retail Store or an Apple Authorized Service Provider for help securing a replacement. They can also order a new unit via the web. Replacements will take approximately six weeks to arrive. The fact that the likelihood of overheating increases over time explains why Apple chose to publicize the program now, more than six years after the first affected devices hit the market. iPod-related fire incidents have been reported since as early as 2005, though the Consumer Product Safety Commission ruled several years ago the the incidences weren't common enough to warrant a full recall. Apple had previously said that less than 0.001 percent of first-generation iPod nanos experienced the overheating issue, but it has yet to indicate how much that percentage has increased over time.